10.530km with 65m climb in 0:32:08. Work foggy. 13.544km with 156m climb in 0:46:57. Home. 10.580km with 63m climb in 0:33:43. Work. No sensors screen off test. 10.310km with 105m climb in 0:33:35. Home. 8.694km with 249m climb in 1:01:50. Bok training the priory. Standard route but the shorter finish unlike recent years. Blue bells out in the wood. Toe not too happy but survived. Right big toe giving me pain. It's been a bit troublesome for about a week with no good cause but its got worse over the weekend and I was limping around the office today although I did think it was a bit better after the walk to buy lunch for the week. Danger I want be able to lead the run Tuesday. Seriously hope it clears up for the JK. 10.614km with 69m climb in 0:32:02. Work. 11.408km with 145m climb in 0:39:49. Home screen off test. Wentwood 3 hour MTBO. Guessing distance and climb as I forgot my phone... Good course got me on a few new bits of singletrack. Terrain was riding very fast with the dry weather. Not obvious route, took reds first and changed down the far end but a number of occasions not sure of the best route even with the order I was doing. Fairly sure of clearing at changeover after only 75 mins but second half I think was more hilly and the hill to finish was hard. 4 seconds off getting into the next bonus minute. Was leading when I left but was not hanging around as wanted to get home to watch Paris Roubaix. Took the win from Mark and Mark. Lost a couple of minutes on 23 to 19 going around to the east not the west like most of the others did. Lost a minute and a half on 24 where Garry looked to find a shorter route down to the lake. Need to go and look at this some time to see what it's like. 7.507km with 275m climb in 0:57:37. Ngoc blue on Fleece hill. Nice out there today gorse well amped and a mice course. Cleared the head. 10.601km with 65m climb in 0:30:48. Work overcast. 10.404km with 104m climb in 0:36:14. Home a bit wobbly after Mexit drinks. More than I am used to. Bean Orienteering since 11. A big fan of night O. Used to be serious about mountain marathons but too broken for that now. Have substituted MTBO instead. 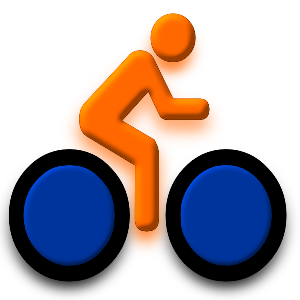 In my spare time I am the developer of IpBike an Android activity tracking app that aims to be a high end Garmin substitute. It has direct upload support to Attackpoint as well as many more sites. Jul 27 [14w, 2d]: Y - World & Junior MTB Orienteering Championships Masters How do I enter? Sep 14 [21w, 2d]: ? - British Sprints and Middles weekend Clashes with BMBO Sleepover event. Sep 21 [22w, 2d]: ? - Veteran Home internationals If selected.